BUT JUST THINK OF IT LIKE ROLLING AN OBJECT ALONG A TRACK WHILE HANGING BENEATH IT. ONLY BEING SQUARE – THAT OBJECT REALLY ISN’T THAT INTERESTED IN ROLLING WITH YOU! 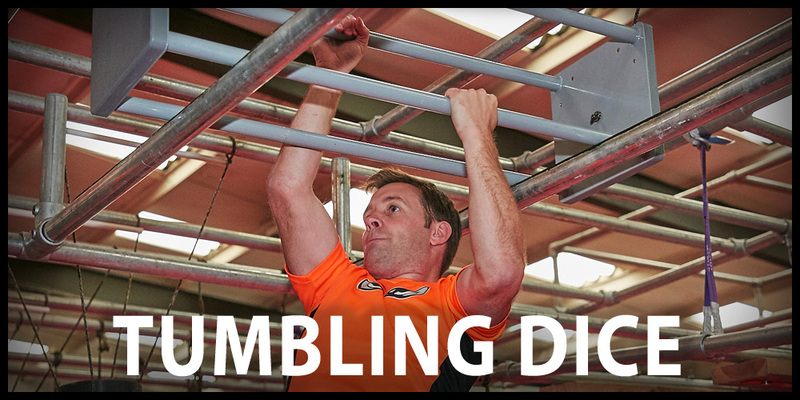 Once you’ve worked this challenge out you’ll need to be ready for a fairly extreme grip, arm and upper body workout! Control the speed of each 'roll' to avoid getting dumped on the deck!